In 2013, a grassroots group of Hereford Zone parents came together to express concerns over changes at Hereford High School and fight a deplorable lack of responsiveness by the BCPS Administration. Michele was a core member of a bi-partisan grassroots effort, “Hereford Works” and spoke specifically on behalf of children with disabilities and those who teach them during meetings, proceedings, and the legislative session. Throughout that process, and as a parent of children with disabilities in the public school system, she has learned the importance of responsiveness from our leaders to the community. 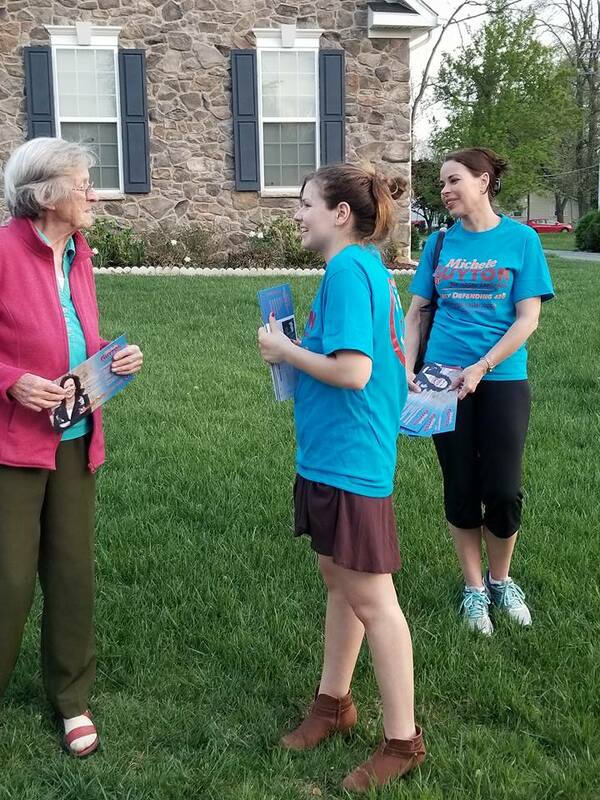 During her tenure on the State Board of Education, she has actively listened and responded to the concerns of teachers, students, and families in the community regardless of political affiliation. She is determined to make the right choices for our district in a completely bi-partisan manner. As your Delegate, she will be accessible to listen to your concerns and intends to hold regular town halls to learn from constituents. Michele has visited thousands of neighbors at their doors and is always accessible to you at michele@micheleguyton.com.